KAUAI, Hawaii --- The U.S. Navy's AN/SPY-6(V)1 Air and Missile Defense Radar (AMDR) successfully tracked a ballistic missile target, Jan. 31. The short-range ballistic missile target was launched from the Pacific Missile Range Facility. AN/SPY-6(V)1 AMDR searched for, detected, and maintained track on the target as predicted. The flight test, designated Vigilant Nemesis, is the final developmental test in a series of ballistic missile defense flight tests for the AN/SPY-6(V)1 AMDR. "The radar performed exactly as predicted. This completes our rigorous developmental test program to support the on-time delivery of the Navy's newest Flight III destroyer." Capt. Seiko Okano, major program manager for Above Water Sensors, Program Executive Office Integrated Warfare Systems (PEO IWS). PEO IWS is an affiliated PEO of the Naval Sea Systems Command that manages surface ship and submarine combat technologies and systems and coordinates Navy enterprise solutions across ship platforms. TEWKSBURY, Mass. 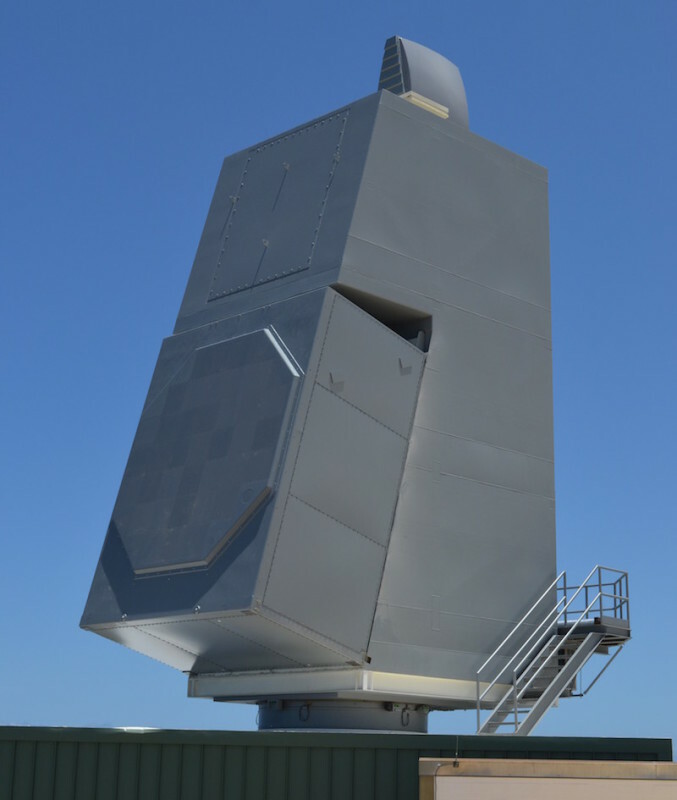 --- Raytheon Company's AN/SPY-6(V)1 air and missile defense radar completed its latest test, exceeding all performance requirements. In the most stressing test to date, the radar searched for, detected, and maintained track on the target as predicted.